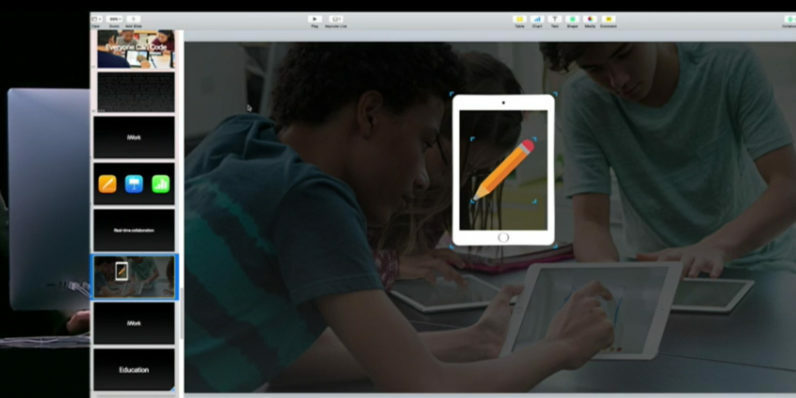 At its iPhone 7 keynote today, Apple showed off a much-need feature in its iWork productivity suite – most notably, real-time collaboration. It’s certainly been a long time coming. The new feature allows multiple users to simultaneously work on the same presentation or document and add or edit images, text, animations. It’ll work on the entire suite of apps for Mac, iPad, iPhone and the Web. Other apps, including those from Google, have already supported real-time collaboration for a while. But it’s nice to see that Apple is upping its game at long last.